The Mayflower Apartments offering one and two bedroom suites ranging from 780 to 1150 sq. ft. The Mayflower Apartments' spacious and beautiful layout provides residents with prestigious urban living. Experience breathtaking views of the river valley. Coded phone entry system and video security. Digital card / Fob entry system. Digital remote controlled garage door opener to heated underground parking. Heated indoor swimming pool and sauna. Spacious and beautiful suites with all window coverings included. Flooring includes quality carpet, linoleum and hardwood. 1 ½ baths in two bedroom suites. 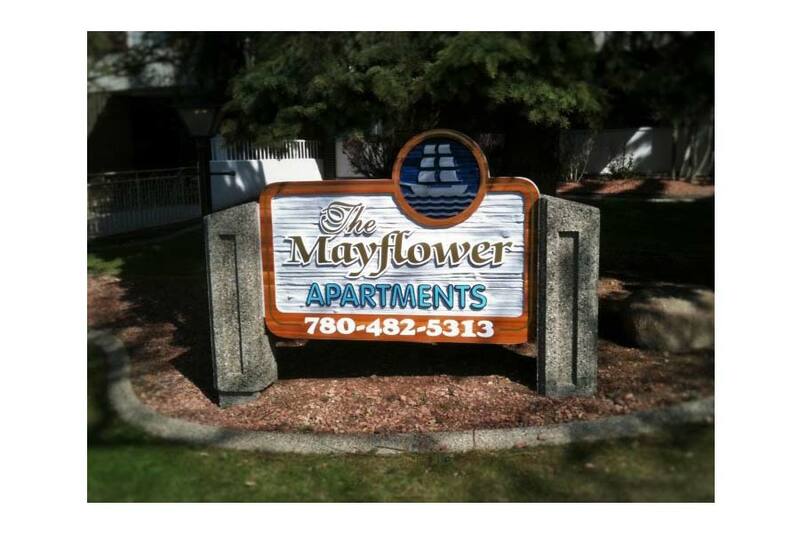 Located on the north embankment of Edmonton's river valley, the Mayflower Apartments overlook the Victoria Golf Course and the scenic park system. An ideal area for walking, jogging or cycling. One short block from Jasper Avenue which offers excellent bus service downtown and elsewhere. There are many restaurants, churches, banks, supermarkets, coffee houses and other services within a very short radius.